We will be learning one or two of the classic finger picking pieces which lay the foundation for finger style, including The Buck Dancer’s Choice. Fairly advanced stuff, supported by tablature and a video on my YouTube channel. PREREQUISITES: Those at level 2 may have difficulty with some concepts. 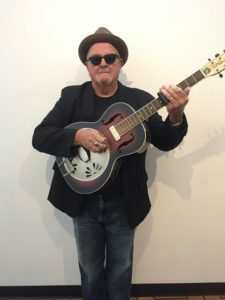 Tim is the producer/artist of four JUNO nominated recording projects; 2012 Calgary Blues Music Association 2012 Guitarist of the Year; 2014 International Blues Challenge double winner (guitar, best solo/duo act); and many others. He has taught at camps and clinics across Canada and the U.S., Australia and Slovenia. He has also recorded with Valdy, Guy Davis, Sonny Rhodes and Eric Bibb (among others).